When the Jews returned to Judea from Babylon after the Babylonian captivity, most stayed behind under Persian rule. Babylon continued to be the main location for Jewish scholars for hundreds of years, so there were many Jewish wise men who lived east of Jerusalem. These wise men (we don’t know how many there were) could very well have been Jewish, then. They could have been looking for signs from the scriptures or from their “oral law,” traditions that had been handed down orally. They could also have been Zoroastrians, a religion that was founded anciently in Iraq which has many similarities to our own faith. Herod called together the chief priests and scribes of the Jews to demand of them where Christ should be born. The Jews were not expecting Christ by name or even by definition. They were watching for Messiah, and they had already lost the knowledge that the Messiah would be the Son of God or spiritual Savior. They expected a king like unto David of old who would restore their kingdom and make them free. Some people expect that Christ was a toddler when the wise men arrived, but this does not need to be the case. 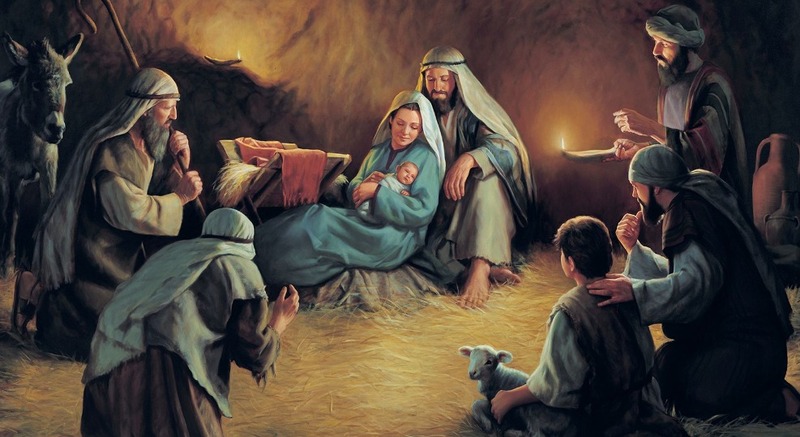 Mary and Joseph were still in Bethlehem, so they had not returned to their home in Nazareth in Galilee yet, and they could have moved to a house a day after Jesus’ birth. Likely, they planned to stay near Jerusalem until they presented Jesus at the temple 30 days after His birth. 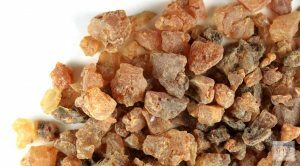 Both Frankincense and Myrrh are fragrant saps from trees used in perfumes and oils. The droplets of sap harden into pebbles. They are precious and expensive and can be burned as incense. There were many Jews living in Egypt. At the time of Christ there were about 1 million Jews living in Alexandria, Egypt, on the Mediterranean coast. But there was also a colony on the island of Elephantine in the Nile River across from Aswan. This was a military colony, but they had gotten permission to build a temple there. There are some traditions that say Mary and Joseph may have gone there to protect the Christ child. Herod died in the year 4 B.C. according to our current reckoning, so most scholars place Christ’s birth in 5 B.C. In the spring of 5 B.C. there was a comet that was recorded by Chinese astronomers and could have been the Star of Bethlehem. Herod died of some disease that caused him to essentially rot. He died in Jericho, just north of the Dead Sea. He was so afraid that no one would mourn him, that he ordered many popular leaders to be executed upon his death, so that there would be great mourning in the land. This order was not carried out, however. Passover season was a good time for the Romans to get a count of how many Jews there were in their kingdom. It was the main pilgrimage high holy holiday of the year, where Jews would come from far and wide to the temple. The Romans would count how many lambs were sacrificed at the temple and multiply by 10. Jewish law considered 10 people to be a quorum, the number needed to make a group decision and the number of people who should share a lamb at Passover dinner. Wood is very precious in Israel and is rarely used to build houses or stables. However, it is very possible to gather sheep into a sheepfold hollowed out of the limestone that is so plentiful. Mangers, too, were usually hollowed-out blocks of stone. Jesus was probably born on Passover, and we know He died on Passover. All the imagery of this Jewish feast points to the fact that He is the Passover offering. A good discussion would be to talk about how Christ is the Lamb of God. Hearkening back to the first Passover of the Exodus and forward to the crucifixion is something adults can do in their study of Christ as the Lamb of God. The Lord works through His firstborn things. Israel is the firstborn of the world, so they belong to the Lord and are dedicated to do His work. The Levites are the firstborn of Israel and so are dedicated to work in the temple. The firstborn male of each family is dedicated to the service of God, but there was in ancient Israel an ordinance called pidyon haben. This ordinance released the firstborn son from service in the temple. This is the ordinance Joseph and Mary were enacting. Women and children were not required to make pilgrimage to the temple for the holy feasts (Passover, Feast of Weeks, Feast of Tabernacles). Women were considered too busy with their important duties at home and were absolved of the duty. Yet, Mary went, and took her children. In fact, the entire extended family made the pilgrimage south to the temple. This shows us how enthusiastically faithful the family of Christ actually was. Three days! How angry would you be with a son if he disappeared purposefully for 3 days without thinking to let you know where he was! And yet, Christ was sinless. This was not a sin. We so often charge people with having sinned for committing acts like these. Perhaps we should rethink that. Christ was in his 12th year, which is bar mitzvah age. He was old enough to begin to read from and to analyze the scriptures in the synagogue. Had He not been, He would likely have been ignored by these sages in the temple. He astounded them with His answers and His understanding.